Short of commissioning nothing but bespoke clothing, finding the perfect fit in clothes is difficult at best and may even be inpossible. Unless you’re built like a mannequin or fit model. Great tailoring will take you far, made-to-measure will take you closer, but bespoke will hide many sins and emphasize your best features. So let’s get going on those best features. 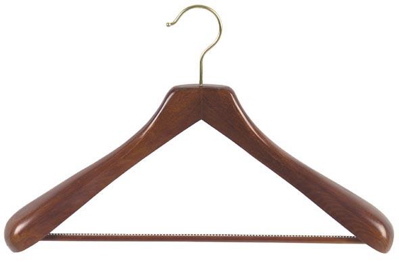 To wear your clothes well, become a good hanger for them. Get fit. You may already belong to a gym. I did, once. Which is about as often as I used to go. Then came a freelance reporting project about SEAL Team PT and a few years later I realized I had absolutely no need for a gym. While it’s been awhile since I worked out with the team (and it shows… it’s amazing what you can do in a team environment), I have kept up with a routine of calisthenics and light running with OK results. And then I did the unthinkable. I changed my diet. The diet to which I have been converted isn’t really a diet at all. “The Abs Diet” by David Zinczenko is everything it’s purported to be. At least it worked for me this summer. While my weight hasn’t changed dramatically (strictly following diet advice isn’t my strong suit and dinner without wine is unthinkable to me), I’m always within an acceptable five pounds of my ultimate goal. And my waist is two sizes smaller, while my upper body and my arms have more definition (I can get top heavy, so am careful about that.) In fact, I would say that I approach the longer, leaner look that I’ve always coveted thanks to the easy shift in my diet and the simple addition of two 20lb dumbells to my workout routine. If you’re thinking about getting back into shape, “The Abs Diet” (which includes a workout routine suitable for home or the gym) is a quick and painless jumpstart to making you a better hanger for your clothes. Besides, you’ll move more easily and elegantly in them. Don’t forget, Cary Grant was an acrobat and lifelong athlete! * Full disclosure: my tuxedo is now too big in an unalterable way. I am meeting with two tailors this week to talk about commissioning one. Stay tuned for the results of my first foray into the world of bespoke. This entry was posted in Living and tagged diet, exercise, Living. Bookmark the permalink.